As a LEGO collector and historian, my first reaction was… “OK where are the mirrors?”…. the fact that you got such an enormous assortment of these circa 1968 LEGO parts together is nothing short of amazing (especially the specialty parts… the antenna’s, trees, bushes and classic LEGO windows/doors). Unless you found a treasure trove of the LEGO 345 House with Mini-wheels sets, getting all these parts together must have been quite a feat. Very nice layout!! Love the colorful skyscrapers as well. Very very nice. 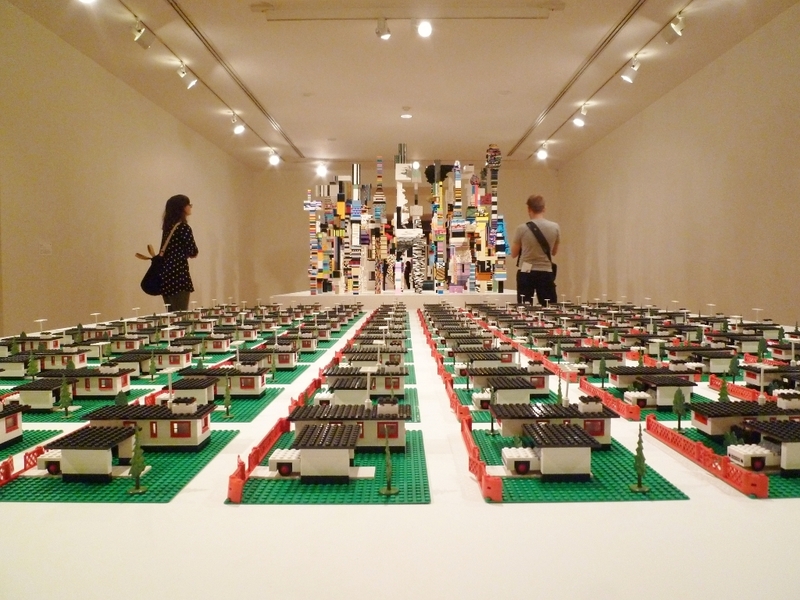 In case you did not see the post this photo is part of, it is from an exhibit at the Vancouver Art Gallery by Douglas Coupland. He is an artist and author, and his collection of 1970-present material culture is nothing short of amazing.